We love taking photos. 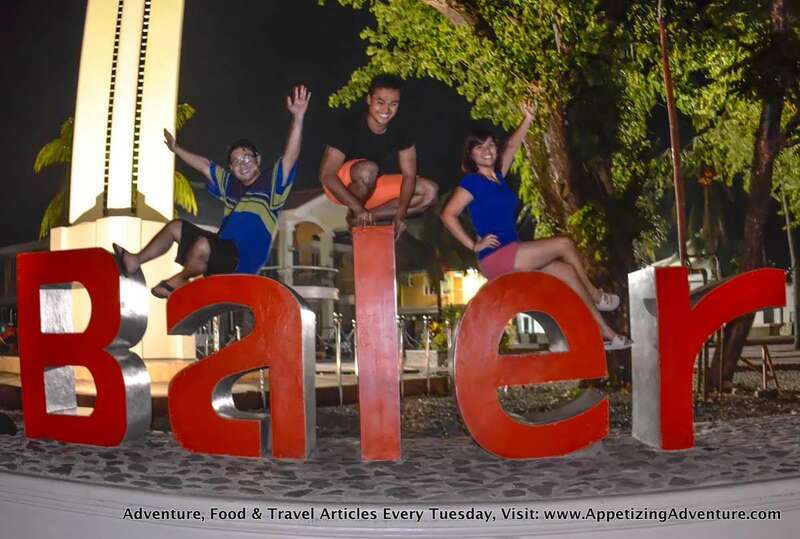 This spot in Baler has to be a must in the itinerary. Have your picture taken beside it, on top of it, solo, and with a group. 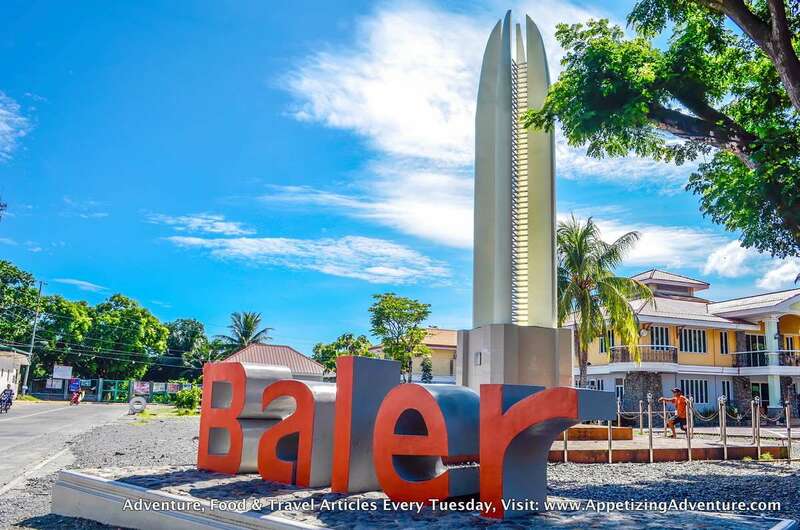 Along Quezon Street, across Quezon Park, and near the town hall, you’ll see this — five big red letters spelling out BALER. 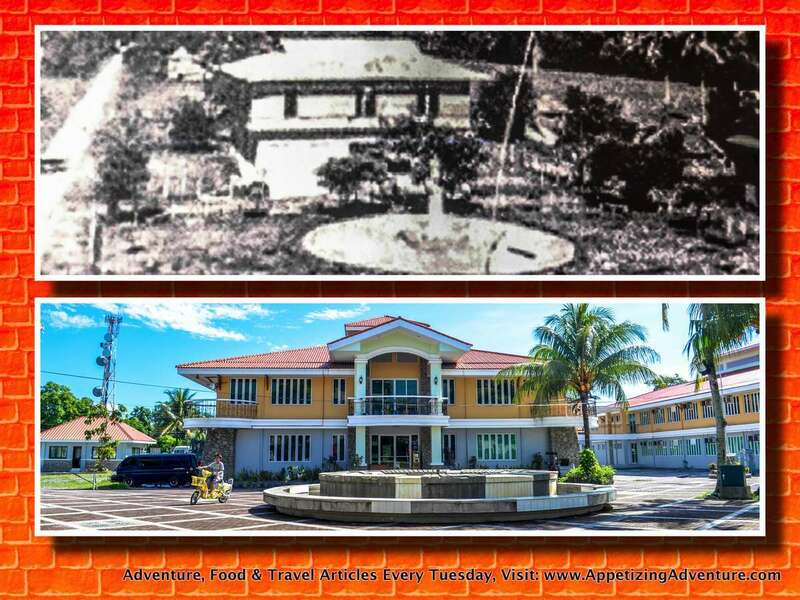 Baler Municipal Hall, then and now. The old 1939 photo’s courtesy of Baler Tourism. When my friends and I saw this, we knew what had to happen. We climbed it and had a group photo. It didn’t end there. We had solo shots on each letter taken separately, and then merged to produce a cloning effect. But you know what? I’m glad we had our photos taken there because that made me curious about the monument behind us. At first I thought it was just part of the town hall’s design. 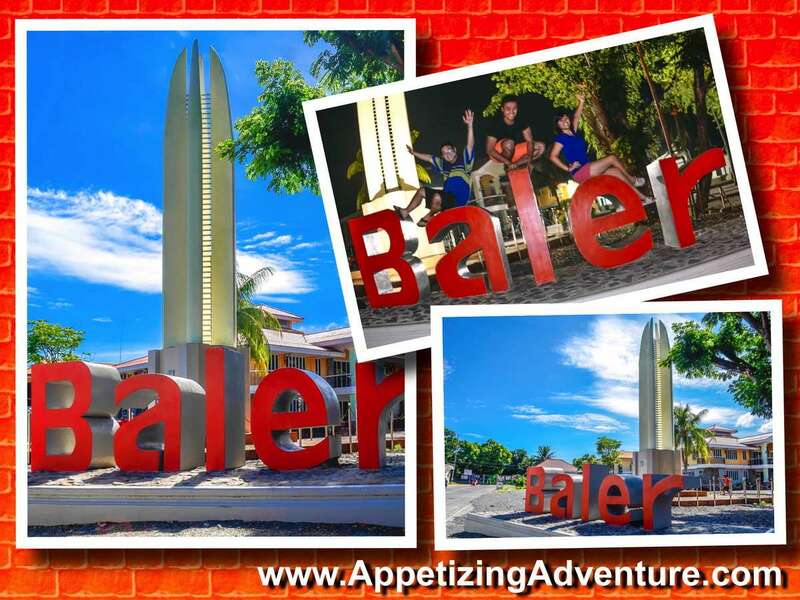 When I looked closer, the structure actually has a name – Baler 400 Years. 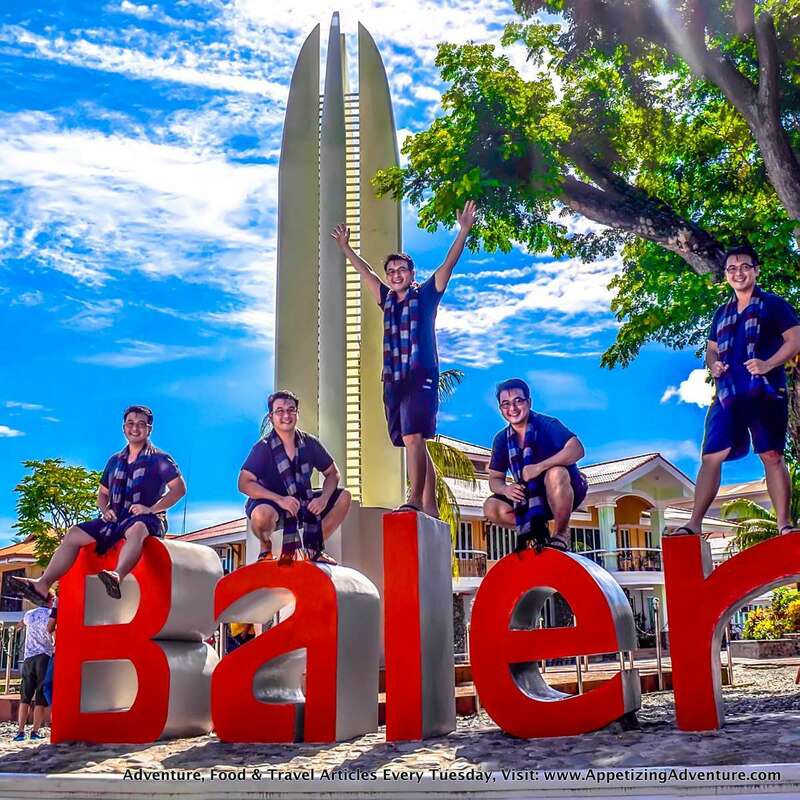 Based on Baler’s government website, the Baler 400 Years Monument has four pillars representing the town’s 400 years of history. The 40-foot monument has 100 stainless steel bars interconnecting the pillars. Luis Yee, Jr., also known as Junyee, created the monument. In a GMA News Online article entitled “Junyee, the revolutionary artist“, more background information about Junyee is available. It mentioned his winning sculpture “Open Doors”, built to honor Baler-born Pres. Manuel Quezon and the Filipinos for the “open-door policy” to Jews in 1939 that saved 1,200 lives. This seven-meter high sculpture was built in Holocaust Memorial Park in Rishon LeZion, Israel. 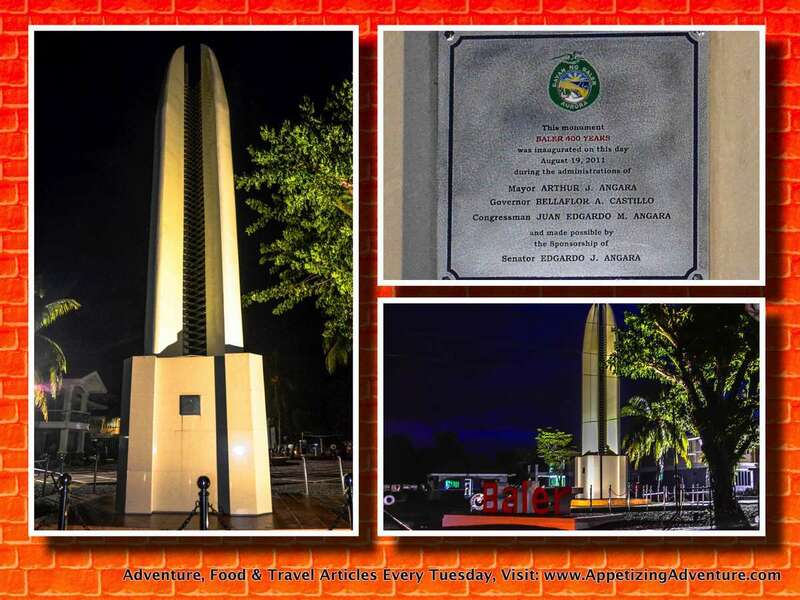 Click here for more pictures of Baler 400 Years Monument.